In Upwave, users can collaborate in multiple, separate teams, within the same organization workspace. You can create teams for different departments, project groups, external suppliers etc. After creating your workspace, this is the first screen you will see. 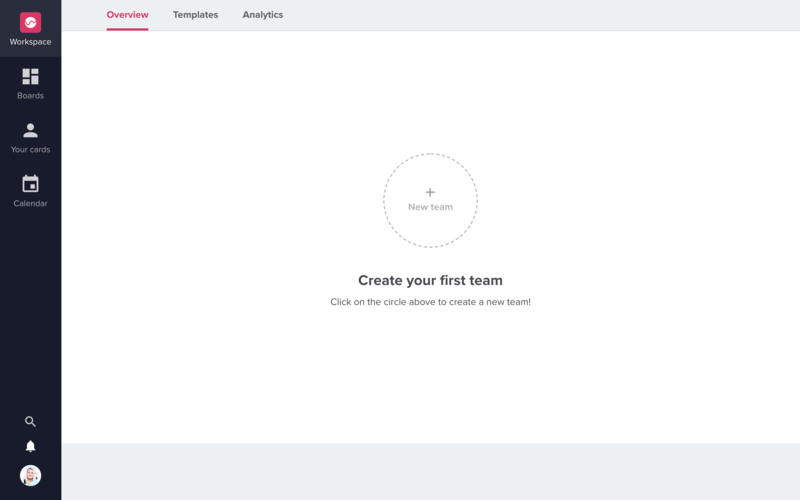 Create your first team by clicking on the circle "New team". 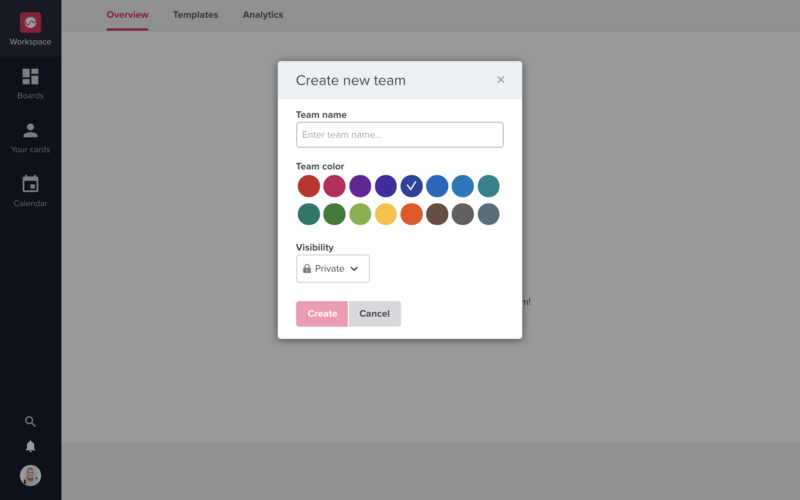 Choose name, color and visibility for your team. 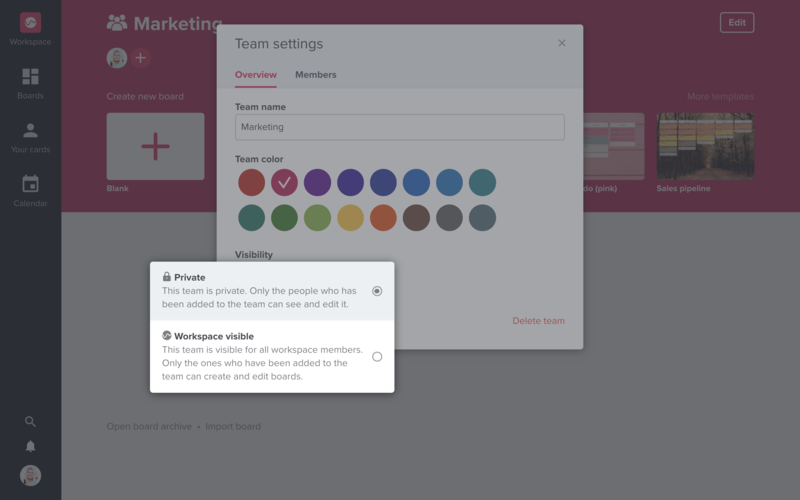 A team can either be private (only visible to people invited to the team) or Workspace visible (visible to everyone inside the workspace). When you have created a team, you can start creating boards inside that team and inviting team members. 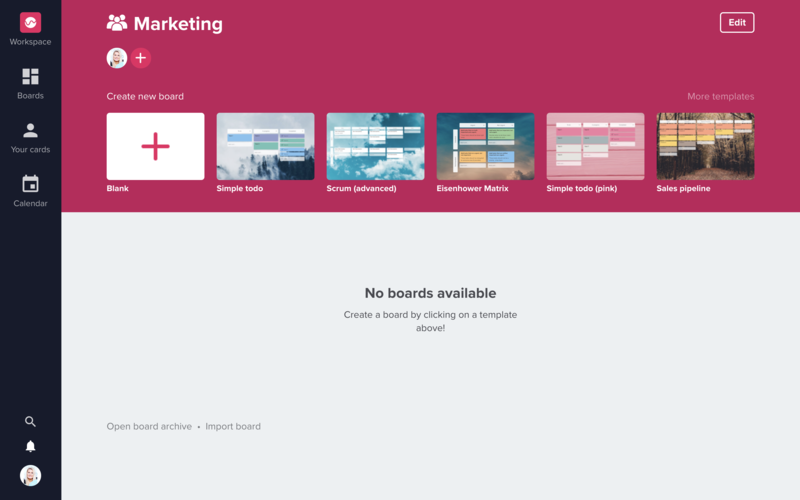 Create your first board by choosing one of our many pre-made templates!